Yeast Infection in Dogs can cause them to be very uncomfortable indeed. It can strike in various places including within the ear itself or anywhere on the skin of the dog. Wherever it appears, it will make your dog miserable. If the infection is affecting the skin, it may appear reddened or have areas where the skin itself seems thickened or have scabby or balding areas. These infections are usually very itchy for your dog and if the dog scratches a lot to try to relieve himself, it may well bleed too. So, what kind of things can cause an ear infection – is it always down to yeast? Well, in a word no. Although yeast infections are often brought about by allergies to food, feathers, cleaning products, medication or intolerances of things like cereal etc, there are lots of triggers that can be responsible for ear problems with your dog, not just overproduction of yeast. These include such causes as bacteria, something lodged within the ear canal such as debris, water or a grass seed for instance. It could even be caused by a ruptured eardrum. The ear is split into two parts; the inner ear is, as you would expect, within the head of the dog and comprises of the tube that runs all the way down (the Eustachian tube) and the eardrum itself. The outer ear is the part you can see inside the flap of the ear. If the infection has taken hold in the outer ear you will usually be able to see a black, tarry, wax-type substance forming and gunking up within all the little folds of the outer ear. Often you will be able to smell a strong “sour” smell from the ear itself, which is a sure sign. An inner ear infection is by far the most dangerous as this can, in extreme cases, lead to deafness in your dog. Because it is usual for an inner ear infection to occur and be triggered when there is an outer ear problem too, it is important to treat any outer ear problems as soon as possible to prevent them escalating into the inner ear too. Because yeast thrives in warm, damp or moist environments, dogs with long, floppy ears often suffer the most with this problem. Breeds like the Basset Hound, Beagle or Ridgeback for example have the perfect ear to create yeast-heaven. Some breeds for instance the Schnauzer, grow hair inside their ears and this can become matted and also act as a good breeding ground for yeast and bacteria. (If you have a breed who grows hair in his ears, then remember to have your groomer pluck this regularly for him). Add in to the mix a dog who likes to go into the water such as a Cocker or Springer Spaniel, and its not surprising that these breeds need constant vigilance to prevent a yeast infection taking hold. Once the vet has determined which part of the ear is infected, he will usually prescribe a course of antifungal cream to rub on the skin of the ear. If the infection is within the ear itself, then it is more likely to require a course of antibiotic tablets to treat it. Please be sure to take the medication exactly as prescribed by your vet. Failure to complete the course of medication may result in the infection coming back. 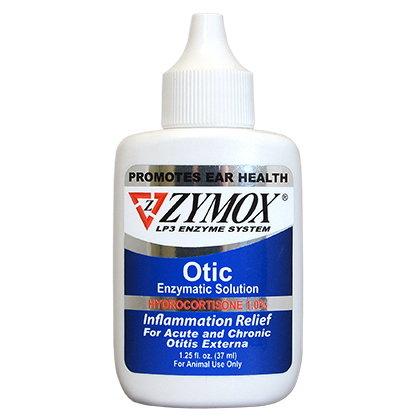 Zymox Otic Enzymatic Solution with Hydrocortisone is a really good product for yeast of the ears and one which I personally wouldn’t be without. After suffering for 18 months on and off and spending £££ on vets and tests and swabs and antibiotic drops, this stuff cleared up the problem within a week and with only 1 recurrence the following year, we’ve now been free of any problems for 7 years straight! 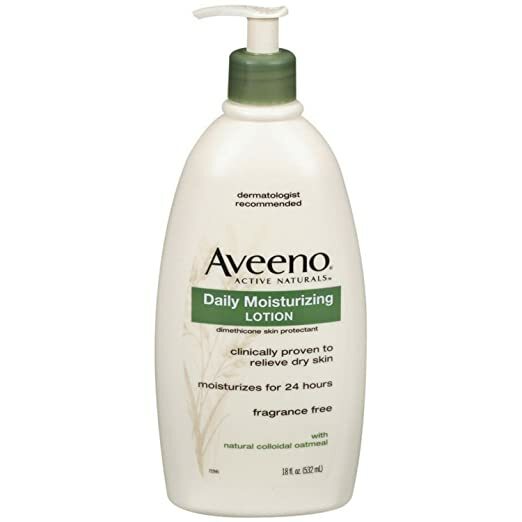 This product is applied daily for a week (or two at most) WITHOUT cleaning the ears. It works through the action of antifungal enzymes that literally break up wax and discharge. For dogs with skin yeast infections you can try products such as topical sprays that go directly on the skin itself or a shampoo that uses antifungal medication in their approach. In severe cases however, oral medication such as Ketaconazole or Fluconazole is recommended to help alleviate the infection. Prevention is usually better than the cure and there are many specifically designed cleaning products on the market for your dog. Some are to be used just when you see any residue appearing while others are to be used as part of your regular hygiene routine. You may prefer to go down the more natural route and seek out remedies such as those that use Apple Cider Vinegar in their make up. which you simply dust a little around the outer aspect of the ear opening just on the skin and furry bits on the flap of the ear, once a day for a week or so and massage in. That’s usually enough to sort the problem out. Another thing, as mentioned in the blog, is Zymox which is very good for treatment of yeast infections and works very well – again usually in around a week or two at the most. I would, however, say that if this has never happened before, it would be best to seek a veterinary opinion to make sure that it is actually a yeast problem and not something which would require a different method of treatment. It might be that your dog has an infection requiring antibiotics, or a foreign object actually in her ear (could be anything from an insect to a grass seed for example) in which case this would need to be removed by a professional. Without knowing for sure exactly what is going on, I would caution against either treating this yourself or leaving it too long. A vet really is the safest option for your dog.